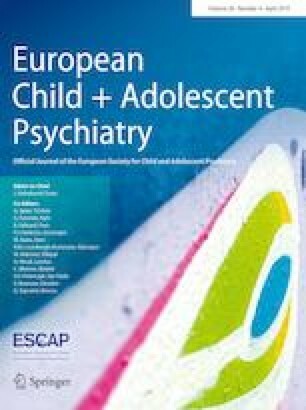 The family environment in childhood has a strong effect on mental health outcomes throughout life. This effect is thought to depend at least in part on modifications of neurodevelopment trajectories. In this exploratory study, we sought to investigate whether a feasible resting-state fMRI metric of local spontaneous oscillatory neural activity, the fractional amplitude of low-frequency fluctuations (fALFF), is associated with the levels of children’s family coherence and conflict. Moreover, we sought to further explore whether spontaneous activity in the brain areas influenced by family environment would also be associated with a mental health outcome, namely the incidence of behavioral and emotional problems. Resting-state fMRI data from 655 children and adolescents (6–15 years old) were examined. The quality of the family environment was found to be positively correlated with fALFF in the left temporal pole and negatively correlated with fALFF in the right orbitofrontal cortex. Remarkably, increased fALFF in the temporal pole was associated with a lower incidence of behavioral and emotional problems, whereas increased fALFF in the orbitofrontal cortex was correlated with a higher incidence. The opinions, hypotheses, conclusions, and recommendations of this study are those of the authors and do not necessarily represent the opinions of the funding agencies. The authors are grateful to FAPESP (grants 2013/10498-6 and 2013/00506-1 to J.R.S. and grant 2013/08531-5 to A.J.) and the National Institute of Developmental Psychiatry for Children and Adolescents, a science and technology institute funded by CNPq and FAPESP (grant 573974/2008-0). Dr. Luis Augusto Rohde has been on the speakers’ bureau/advisory board and/or acted as a consultant for Eli-Lilly, Janssen-Cilag, Novartis, and Shire in the last 3 years. The ADHD and Juvenile Bipolar Disorder Outpatient programs chaired by Dr. Rhode have also received unrestricted educational and research support from the following pharmaceutical companies in the last 3 years: Eli-Lilly, Janssen-Cilag, Novartis, and Shire. Dr. Rohde has also received travel grants from Shire for participation in the 2014 American Physiological Association and 2015 World Federation of ADHD congresses. Finally, he receives authorship royalties from Oxford Press and ArtMed. Dr. Rodrigo Affonseca Bressan has been on the speakers’ bureau/advisory board of AstraZeneca, Bristol, Janssen, and Lundbeck. Dr. Bressan has also received research grants from Janssen, Eli-Lilly, Lundbeck, Novartis, Roche, FAPESP, CNPq, CAPES, Fundação E.J. Safra, and Fundação ABAHDS. He is also a shareholder in Biomolecular Technology Ltd. Dr. Edson Amaro Jr. has received research grants from FAPESP, CNPq, CAPES, Fundação E.J. Safra, and Fundação ABAHDS. Dr. Pedro Pan received a PhD Scholarship from CNPq.